Señor Mex says: This article provides an interesting perspective of across-the-border shopping as Mexicans facing a coming sales tax hike are finding value in coming into the U.S. to complete important holiday and personal purchases. Texas border areas normally experience approximately $4.5 billion in sales to Mexican residents, but the Mexico tax hike may lead to a significant increase over the holiday season. 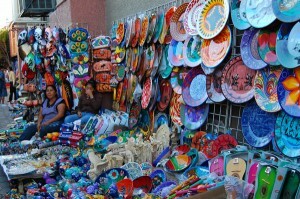 U.S. shoppers planning on short-term shopping trips across the border need to remember that Mexican insurance from MexicanInsuranceStore.com is an important part of driving in Mexico, providing financial and legal protection that will address liabilities in the event of an accident. Don’t cross the border in your car without making sure that your Mexican insurance from MexicanInsuranceStore.com coverage is updated. The bill has been controversial in the nation, and the response by citizens has been largely negative. The five percent increase places sales tax in the northern part of the nation at 16 percent. The sales tax in Texas, meanwhile, can range from 6.25 to 8.25 percent. U.S. consumers may want to consider the January hike as a motivating factor in making December purchases of goods in northern states. Of course, there are many regional items that warrant a trip over the border regardless of sales tax levels. Mexican insurance from MexicanInsuranceStore.com has no tax increase at this point. Crossing Mexican border isn’t that a big fuss however buy Mexican insurance beforehand than things might go quite smooth. You can go for a window shopping at the border shops as well. Lots of uninsured drivers are crowding on the border of Mexico trying to buy their Mexican insurance. While it’s possible to buy insurance on the border, the hassles, complexity and extra expense may be something you want to avoid. Why not buy it online, and get a better policy instead?